In the 1930s, George G. Blaisdell watched a friend awkwardly using a cumbersome lighter at the Bradford Country Club. This immediately sparked an idea for what would become Blaisdell’s Zippo lighter. Mr. Blaisdell had quite a few passions in life, but his family, his lighter, and the game of golf topped the list. Even before Zippo was created, George Blaisdell was known in the Bradford community as an avid golfer. 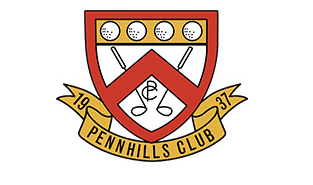 The Pennhills Country Club still displays the North Penn plaque on which winners’ names from 1925 to 1944 are written. Mr. Blaisdell’s name appears on the plaque eight times. On October 7, 1950, Mr. Blaisdell got a hole-in-one at the Pennhills Club, making a shot of about 142 yards with a 6-iron. 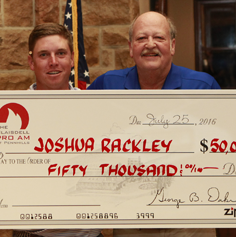 After that, Zippo created a Hole-In-One Award. Any golfer who made a hole-in-one using a Zippo golf ball, and sent the golf ball to Zippo along with the specifics of the shot, was eligible to receive a gift from the company. 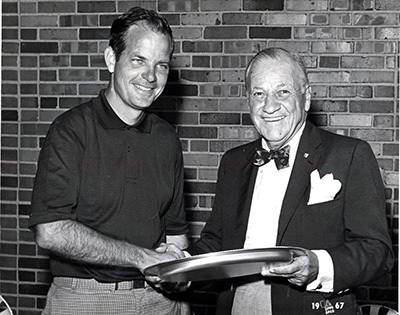 Mr. Blaisdell realized another dream in 1963 when he hosted the first Zippo Open Golf Tournament at the Pennhills Club. 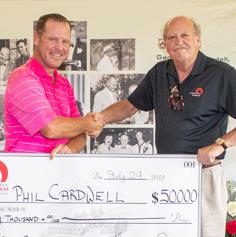 Mr. Blaisdell himself presented the trophy to the first winner, Ted McKenzie of Philadelphia, PA. 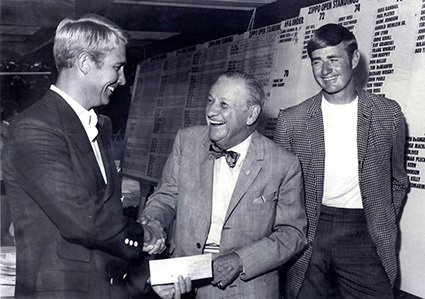 The tournaments continued for more than 20 years and featured nationally recognized PGA players, including Bob Eastman, Marty Fleckman, Gibby Gilbert, Rocky Thompson, J.C. Goosie, Sam Snead, and Gene Sarazan. Even MLB Hall of Famer Joe DiMaggio visited the club for the 1980 Zippo Open. 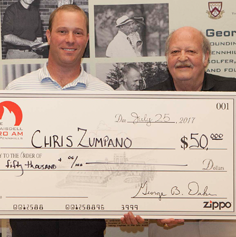 Zippo is proudly sponsoring the Blaisdell Pro Am Tournament as a tribute to Mr. Blaisdell’s enthusiasm for the game and the golf course he loved.